If you’re pregnant then you probably know that you will need to complete the 1 hour glucose tolerance test around 26 weeks into your pregnancy. You may have heard tales about the gestational diabetes test that have you worried about how your body will react to it, whether you need to do any gestational diabetes test prep, or whether you will pass it – or you may have heard nothing at all about the test and are wondering for yourself what exactly it is! 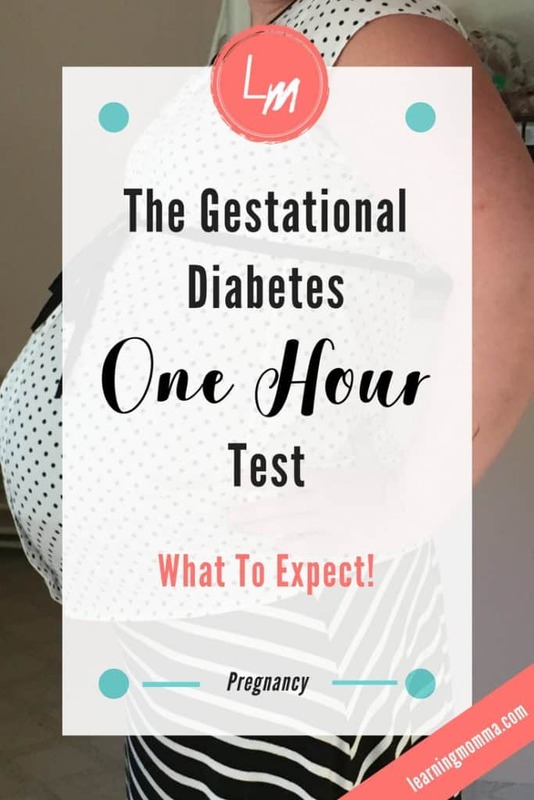 Whether you have heard tales of terror about the test, tales of ease, or haven’t thought much about it at all – below is a breakdown of what to expect from the gestational diabetes one hour test. IF you fail the one hour test you will likely be required to take the gestational diabetes three hour test. 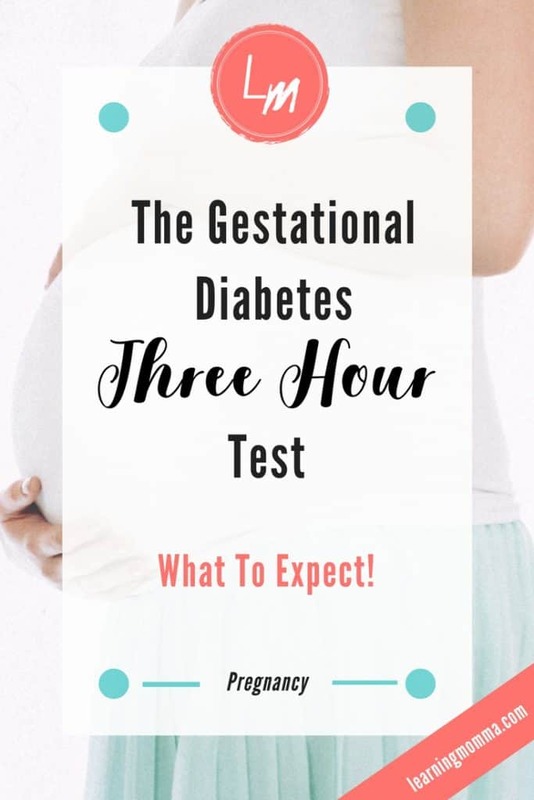 The gestational diabetes three hour test is even more involved and basically confirms or denies the results of the gestational diabetes one hour test. Below you can also read the details of what to expect if you have to take the three hour test. Note: Are you stressed by ALL OF THE THINGS to get ready for your new baby? Beat the overwhelm with the ultimate printable handbook of baby prep checklists & guides! Everything from creating your baby registry to tracking your newborn’s feedings. Read more here. Whether you are approaching either the one hour or three hour glucose test, it helps to be a bit prepared! The gestational diabetes one hour test is not a terribly long experience or one that sends you running for the hills. 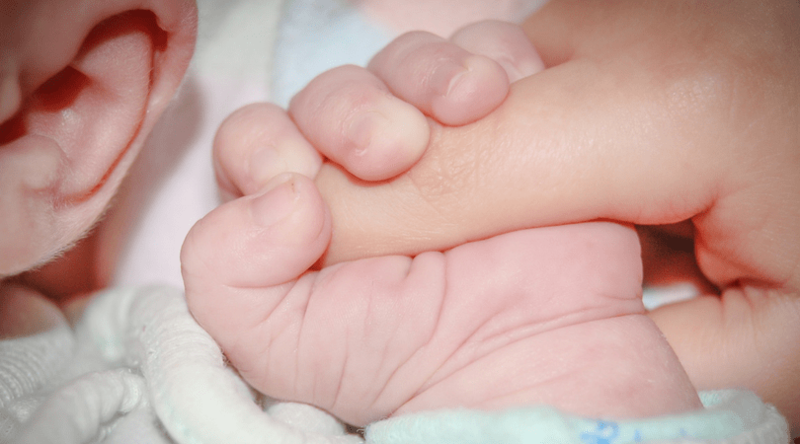 I had no idea what to expect from it when I took it with my first pregnancy. However, I will admit that with my second pregnancy I dreaded the test for days. I felt huge relief when I completed it and no longer had it looming in front of me! 1. You will be given a sugary glucose test drink and required to drink the full bottle. The sugary drink is in a small bottle that probably equates to less than a soda can of drink. The one I was required to drink was just a clear liquid that tasted a bit like flat soda. It’s very sugary and almost syrup-like. I’ve heard some moms say that the worst part of the gestational diabetes one hour test for them is getting the drink down. Personally, I didn’t think it tasted good, but I didn’t find it all that hard to drink – so perhaps it depends on your sweet tooth! 2. You will be required to stay in the lab area for one hour of time. Each lab might be slightly different, but I was required to wait for an hour in the waiting area at the lab. So be prepared with your smartphone, a book, or some kind of entertainment! An hour of waiting can feel like a long time if you have no way to entertain yourself. In my second pregnancy I took along my husband and toddler daughter to help entertain and distract me as I waited for the time to pass. 3. The lab will draw some of your blood. After you’ve gotten the drink down and waited for an hour, the lab will draw a sample of blood to test your body’s reaction to the drink. It’s a quick blood draw. “That’s it!” You think. “That sounds easy!” And for some people I think it really is. The second time I took the whole gestational diabetes one hour test it went much more smoothly for me than the first time. It really wasn’t a big deal and it was done. However, the first time I took the test it was much harder than it sounds to get through. When I took the 1 hour glucose tolerance test with my first pregnancy I started to struggle about 20 minutes into the required one hour of waiting time. I began to feel quite nauseous, dizzy, and started sweating and feeling like I was having hot flashes. I made it through the hour of waiting time by shutting my eyes and staying stationary in my seat, but it was a rough and unpleasant experience! After the test I ate some food, drank some water, and started to quickly feel much better. I was afraid that I failed the test because I experienced such a negative reaction to the sugary drink. However, I ended up passing! If you have a negative reaction to the drink when you take the gestational diabetes one hour test don’t assume that it means you’ve failed! Ironically it was with my second pregnancy (when the test didn’t affect me near as much) that I ended up failing it. 1. Bring a few snacks and a water bottle along with you to have immediately afterwards. 2. Make sure you have something along to entertain you for an hour! 3. Be prepared that you might be feeling under the weather for a bit after the test! I don’t find the gestational diabetes one hour test to be any fun, but you will get through it and it will be in the rear view mirror! If you’re nearing the third trimester don’t forget to also be prepared for your hospital stay and postpartum recovery! Download The Ultimate Practical Baby Prep Handbook HERE to make sure all of your preparation boxes are checked! If you are so unfortunate as to fail the gestational diabetes one hour test, you will probably be required to complete the three hour test. With my second pregnancy this happened to me and I was not very pleased about it! The 3 hour glucose tolerance test is more difficult to complete and it was more taxing for me physically. However, DO NOT assume that just because you have to take the test that you’ve already cemented your failure. I was sure that the second test was just a formality for me, but it turns out that I passed the second test and did not have gestational diabetes! 1. Glucose test fasting is required for 8-12 hours. This is the part I was actually dreading most about taking the gestational diabetes three hour test! I was still on nausea medication at 26 weeks into my pregnancy and any period of time without eating enough made my stomach act up. I didn’t know how I was going to go without food and not throw up to make it through the test! Fortunately I was able to schedule my test for first thing in the morning, so my fasting time was overnight and I just had to manage going without breakfast. 2. The lab will draw your blood. Before I drank the drink or did anything else for the gestational diabetes three hour test, the lab drew a sample of my blood. They said if it came back below a certain level then I wouldn’t even have to complete the test! Unfortunately I was not so lucky and still had to finish out the test. I don’t know if this is a standard that all labs follow, but be prepared to have some blood taken before you even begin the official test. 3. You will be given a sugary drink and will be required to drink the whole bottle. For the gestational diabetes three hour test I was given an orange colored sugary drink and provided with five minutes to drink the whole bottle. Again, the bottle was probably a little bit smaller than the a soda can and tasted a bit like flat soda. It was a very thick almost syrupy type of taste. I didn’t have too much trouble getting it all down, but I would never say that it tasted good! 4. You will be required to stay in the lab area for three hours of time. My wonderfully patient husband took the morning off of work to come support me through the gestational diabetes three hour test. My plan was to use his and my toddler’s company to distract me from the ticking clock. However, my lab was SO helpful and allowed me to go back and recline in one of their chairs for the duration of the test to minimize my nausea and dizziness. I was able to snooze on and off and remain immobile for the whole test – which I really think helped me to get through it! 5. You will have your blood drawn every hour. Every hour after drinking the sugary drink, the lab will take a small sample of your blood. For my test they simply came over to my chair and drew it right where I sat each hour. This allowed me to keep snoozing in between the draws without prompting any dizziness from standing or walking. With the initial blood draw and one every hour, I had my blood drawn a total of 4 times to complete the gestational diabetes three hour test. NOTE: You are not permitted to eat during the entire three hour testing period. I was also only permitted small sips of water throughout the test. Considering the fact that I was still on nausea medication for my pregnancy, I did not expect to be able to make it through the gestational diabetes three hour test. I was overjoyed and relieved when the last blood draw was completed and I had actually made it to the end! I still feared the results (which ended up being good!) but I felt a huge weight lifted that I at least had survived the test. 1. Schedule your test as early in the morning as you can! I can’t imagine how difficult it would have been to fast before the test if I had not been able to do it overnight. Schedule your test early so that it’s easier on your stomach and you can sleep away your fasting time! 2. Be sure to pack a water bottle and some snacks. You will want them both immediately after you’ve completed the test! I ate a small peanut butter sandwich I had packed before even standing up from the chair I was in for the gestational diabetes three hour test. My stomach was growling for it by that point and I was afraid if I didn’t eat before standing that I would become dizzy or faint! 3. Bring something along to entertain you for the waiting time, but also ask your lab if they have any reclining chair or bed that you can use. I don’t know if I could have made it through the test without fainting or throwing up if my lab hadn’t offered me the reclining chair in the back. I had my husband and daughter along to try to help me pass the time, but was glad that an alternative was offered! Don’t be afraid to ask the lab if there is somewhere restful you can stay for the three hour waiting time to help you relax and calm your stomach if that is an issue for you. 4. Be prepared that you might be exhausted or feel “off” after the test. Again, if possible I recommend keeping work or home commitments flexible for the rest of the day after you complete the gestational diabetes three hour test. My stomach bounced back quicker than I expected after eating a good lunch and drinking water, but I was still quite exhausted the rest of the day. I don’t know if it was from the contents of the sugar drink, from missing breakfast that morning, or from the emotional toll of dreading the test, but all I wanted to do the rest of the day was sleep! Be prepared that your body might need some time to reset before you jump right back into life after making it through the test. If you have to take the gestational diabetes three hour test, take heart that it can be done! If I could get through while still on pregnancy nausea meds than you can do it too! It wasn’t fun but it was more survivable than I had anticipated. Once you get through it you’re done with the testing process! 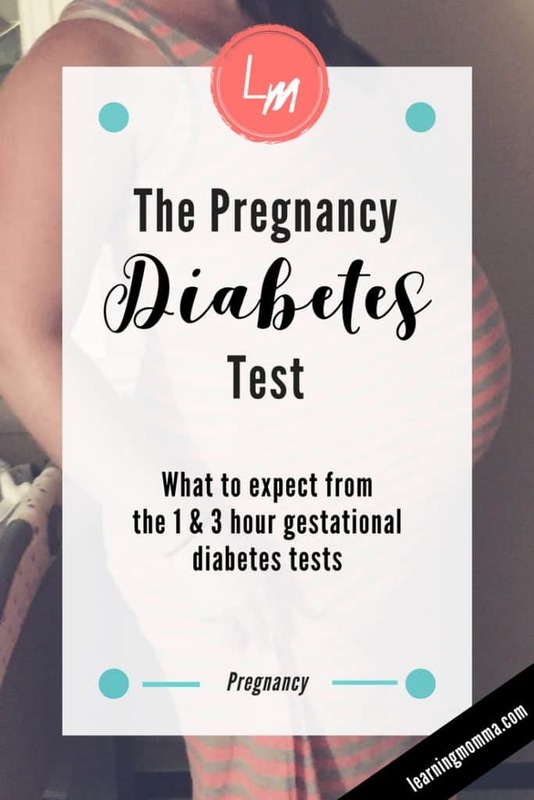 Whether you are anticipating the standard gestational diabetes one hour test or looking ahead to the second gestational diabetes three hour test, I hope that knowing a little bit more about what you’re walking into and having a few tips to prepare is helpful. If you’re taking either of these tests than you’re probably already about 2/3 of the way through your pregnancy – so keep persevering momma! You will be at the end and holding your precious little one before you know it! For more information on gestational diabetes and links to additional resources visit this post from BabyCenter. PreviousBridal Shower Games To Print – Bridal Bingo, How Well Do You Know The Bride, & More!